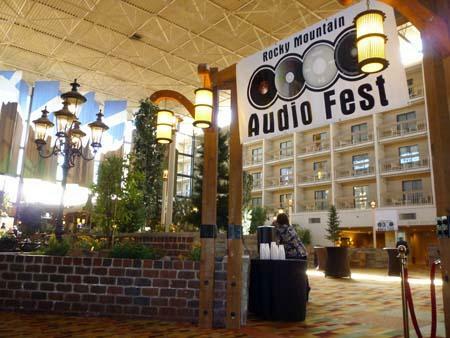 The 2010 edition of the Rocky Mountain Audio Fest, occupying parts of nine floors of the Denver Marriott Tech Center, is set to be the biggest and best RMAF yet. For now, guests, exhibitors, and press are enjoying "the calm before the storm." But that will soon change, and this quiet, sun-soaked hall will be one big blur of color and activity. Judging by the show's directorywhich is obviously thicker than everwe're in for some serious fun. Stereophile will be reporting live from the show in Denver!